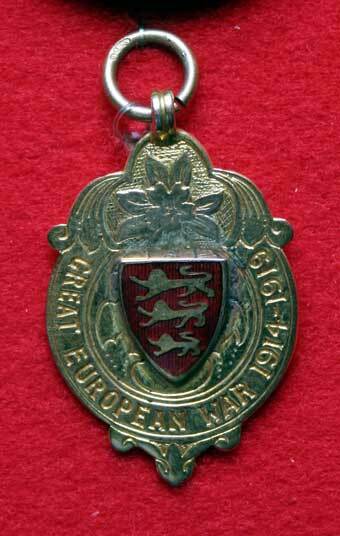 Private Edwin Seddon, number 8144, 1st Battalion, King’s Own Royal Lancaster Regiment. Enlisted at Lancaster 19 February 1904. Overseas 23rd August 1914 and taken prisoner of war, probably on the 26th August 1914. 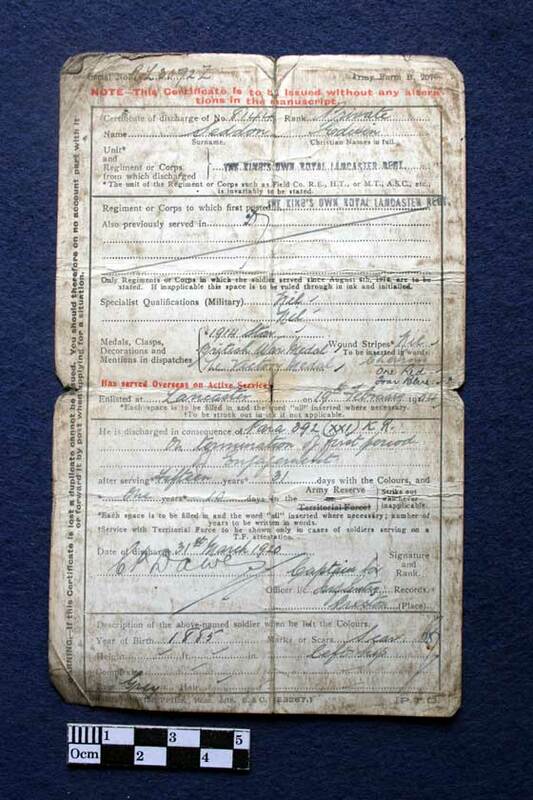 Discharged 31st March 1920. 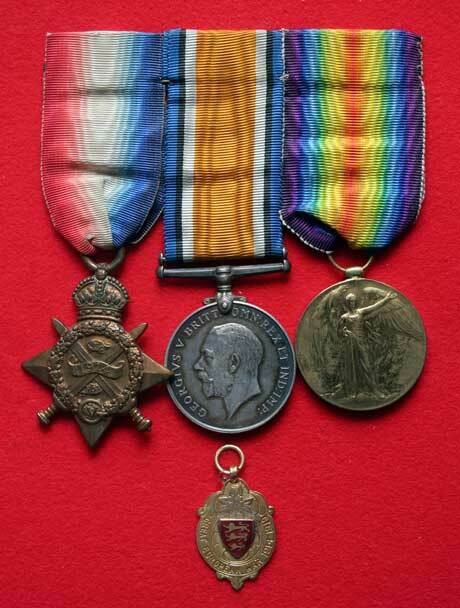 1914 Star, British War Medal and Allied Victory Medal and Bickerstaff Medal to Private Edwin Seddon, number 8144, 1st Battalion, King’s Own Royal Lancaster Regiment. 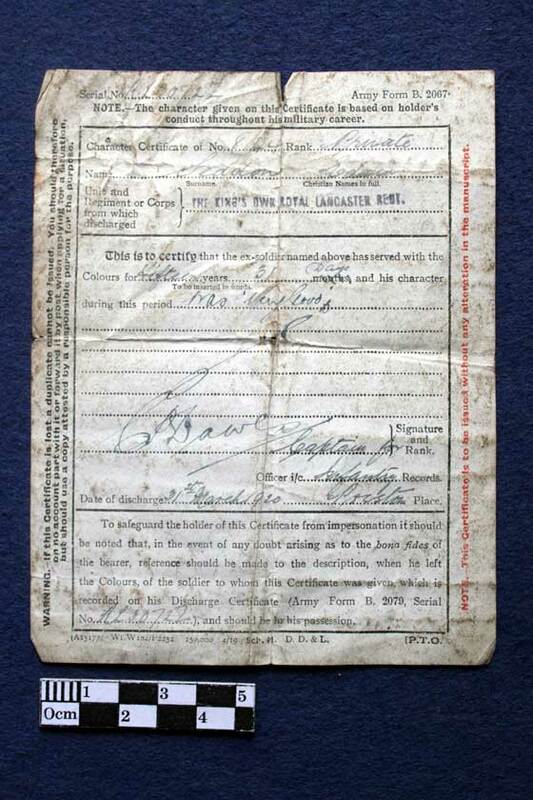 Enlisted at Lancaster 19 Feb 1904. Overseas 23rd August 1914 and taken prisoner of war. Discharged 31 Mar 1920. Note the incorrect name, which should read “Edwin”. 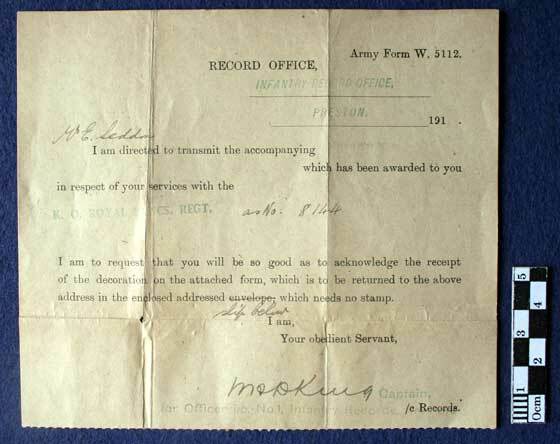 Army Form B2079 Certificate of Discharge to Private Edwin Seddon, number 8144, 1st Battalion, King’s Own Royal Lancaster Regiment. 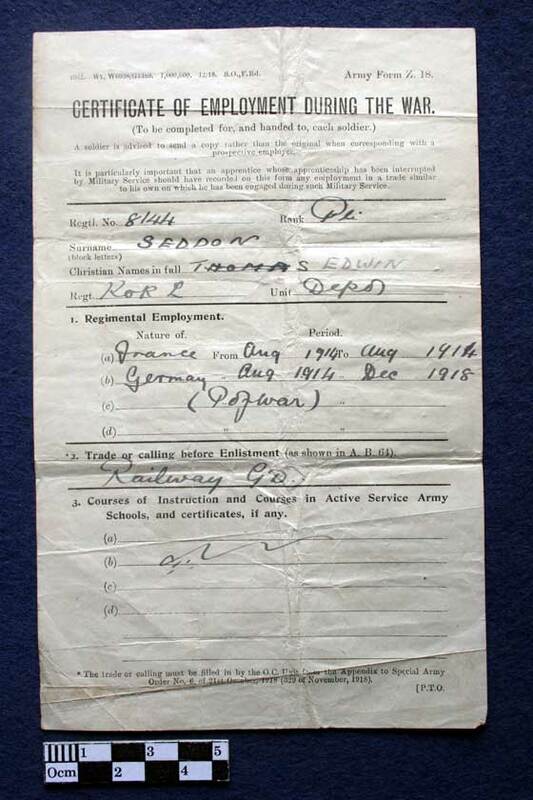 Army Form B2067 Character Certificate to Private Edwin Seddon, number 8144, 1st Battalion, King’s Own Royal Lancaster Regiment. Army Form Z 18. 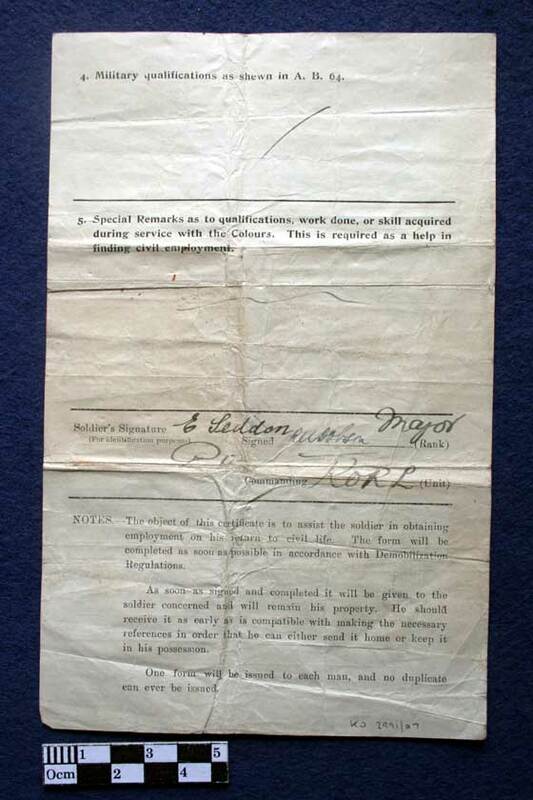 Certificate of Employment during the War. 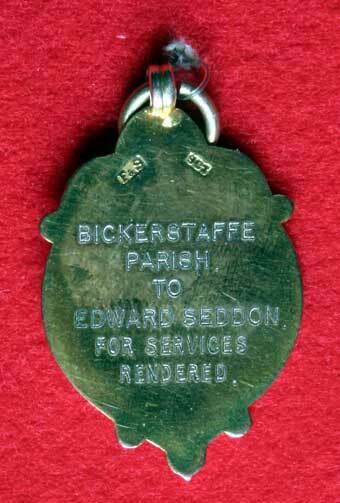 Private Edwin Seddon, number 8144, 1st Battalion, King’s Own Royal Lancaster Regiment. Showing France for Aug 1914 and Germany Aug 1914 to Dec 1918, as Prisoner of War. Army Form W 5112. Letter with British War Medal, to Mr Edwin Seddon. Note with 1914 Star issued from Preston Records Office, 8 May 1919 to Private E Seddon, 1st Battalion, King’s Own Royal Lancaster Regiment.